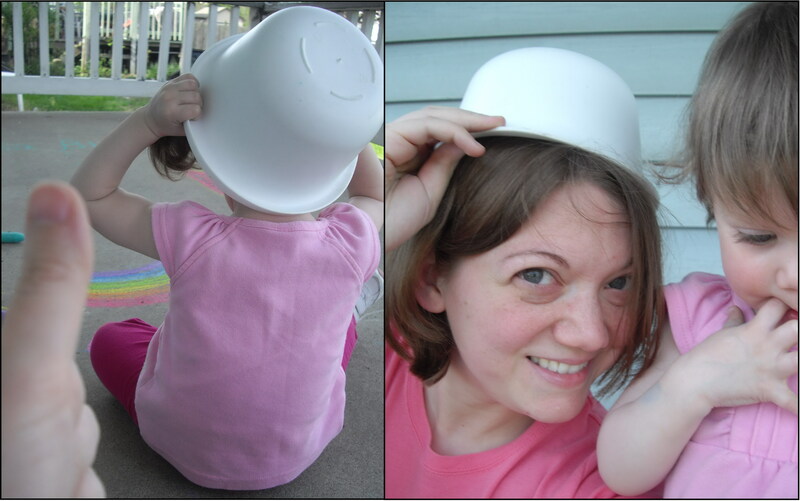 ← Wordless Wednesday: Happy Mother’s Day! 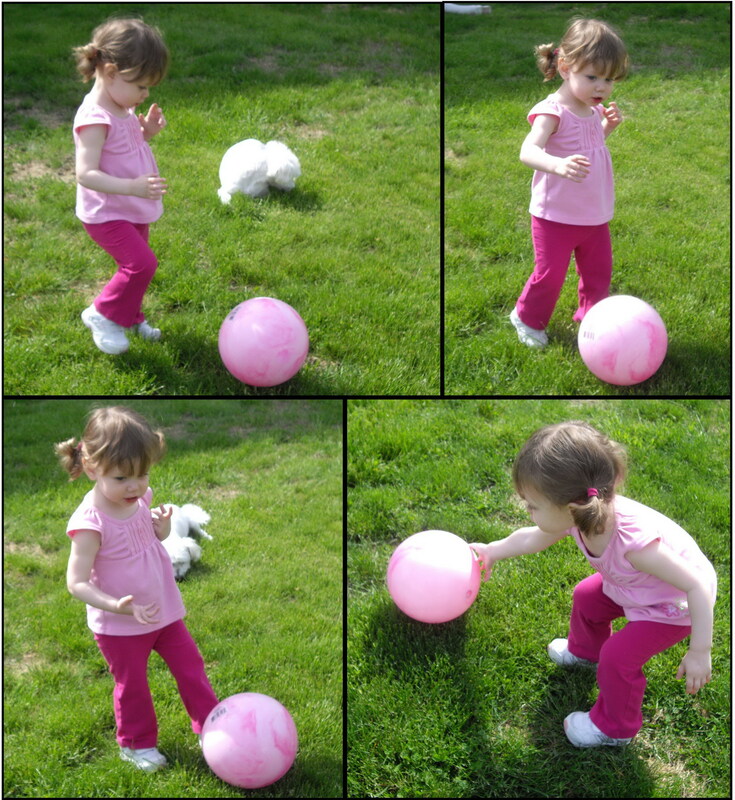 It was a beautiful day last week, so I took Adaline outside for some fun. Adaline saw some birds flying and she said, “Birds! 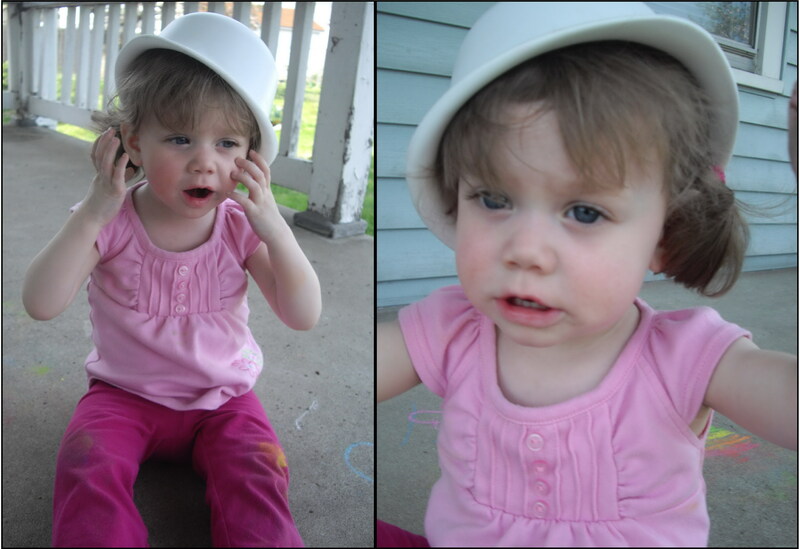 Adaline hold it! 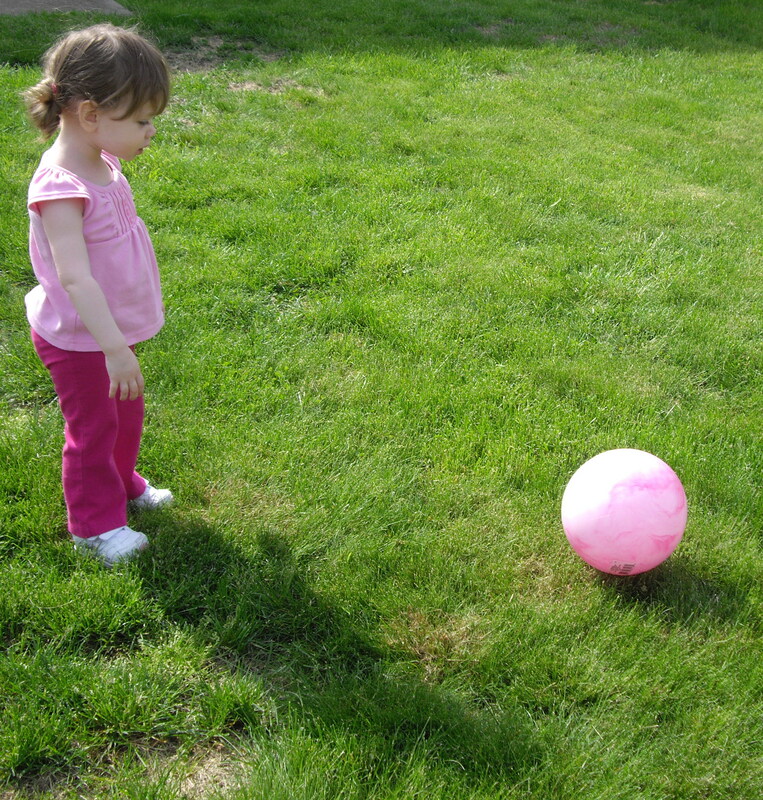 Catch it!”…she didn’t catch it. Thou shalt not covet thy neighbors ball. That’s right, now quit staring at it. I’m embarrassed to tell you that this is all my awesome artwork. 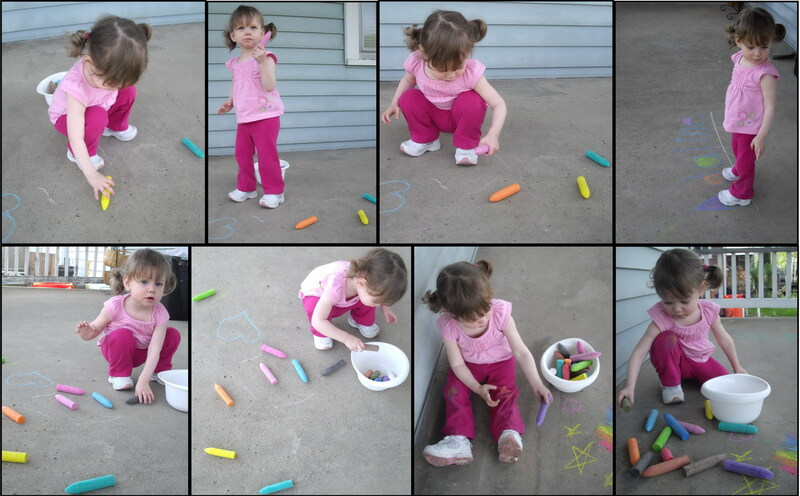 Adaline’s still too young to make more than squiggles. 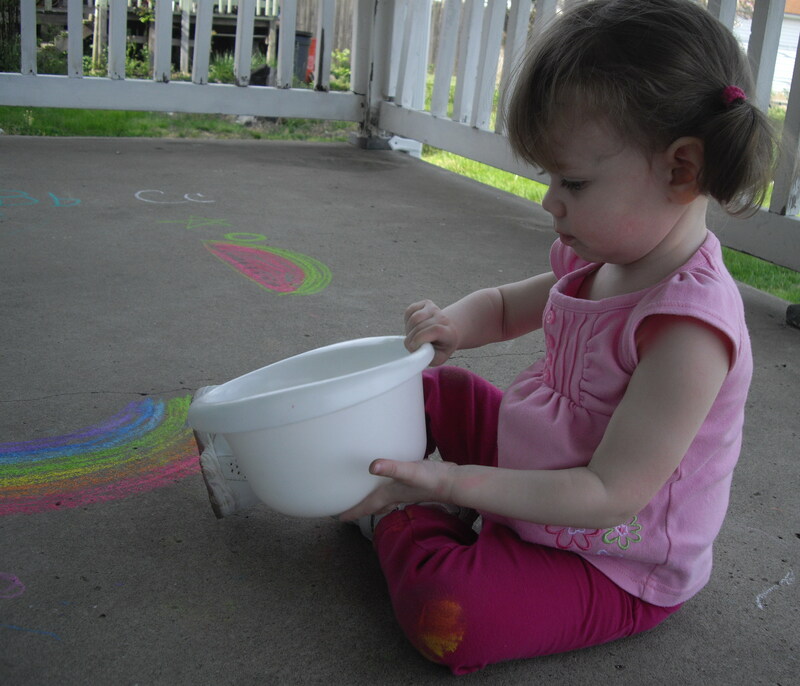 I made this very authentic looking heart to show her what chalk was. She was excited in spite of my illustration. 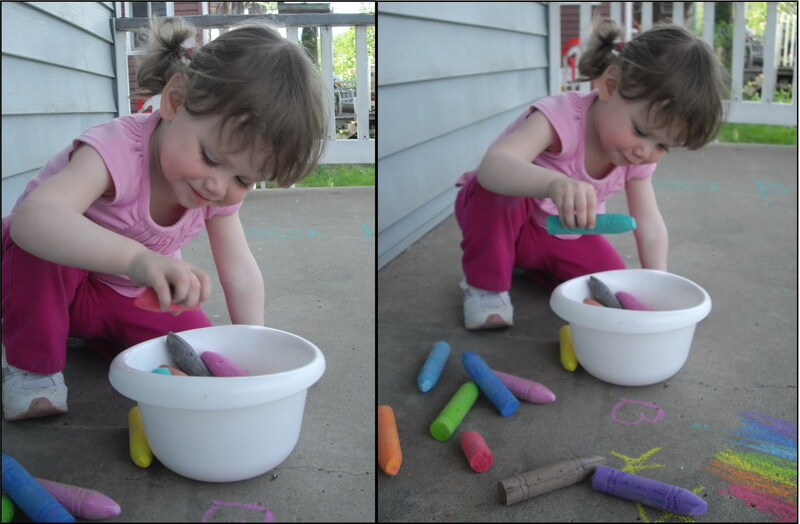 She was very excited about the chalk and kept saying, “Chalks. 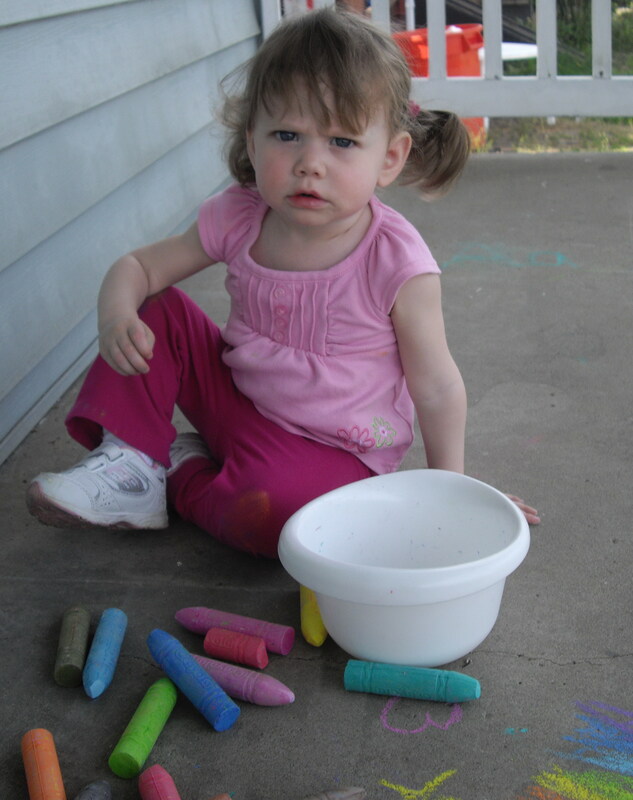 Adaline chalks.” Mostly she liked taking them out of the bowls, drawing one line, and saying what color they were. 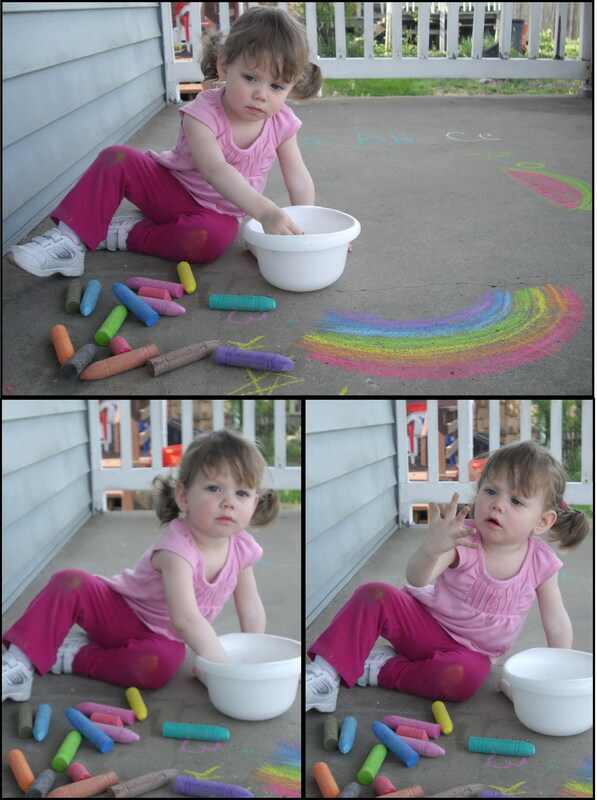 Getting messy chalk on our clothes and hands. Just kidding. That’s her “mad face” she does sometimes to be funny. 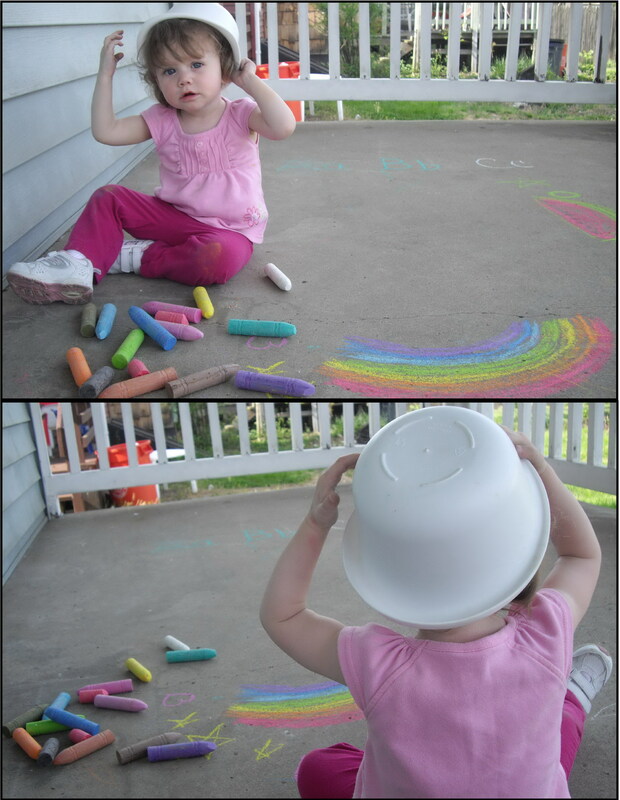 Once she emptied the bowl of all of the chalk, she decided to wear it as a hat! 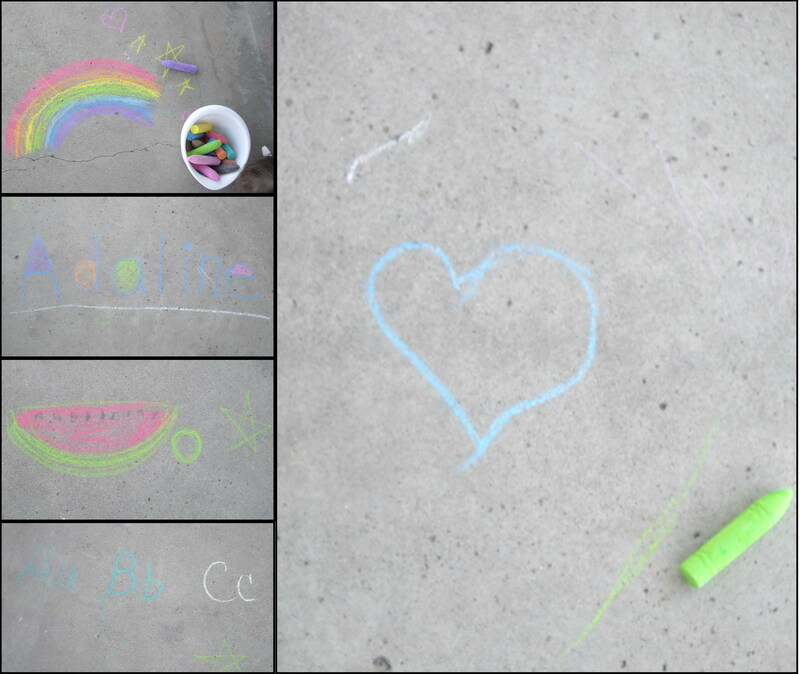 Posted on May 18, 2011, in Adaline, Wordless-ful Wednesday and tagged chalk, photos, Wordless Wednesday. Bookmark the permalink. 8 Comments. 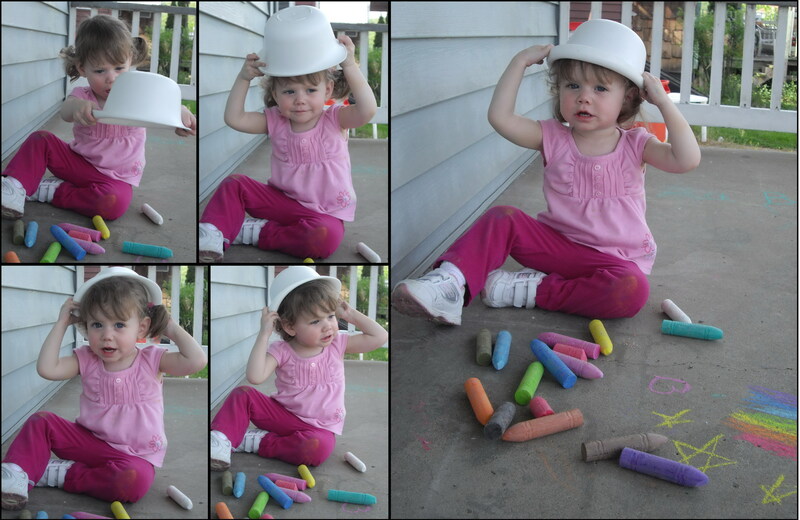 Adorable and artsy! What more could a mommy want? 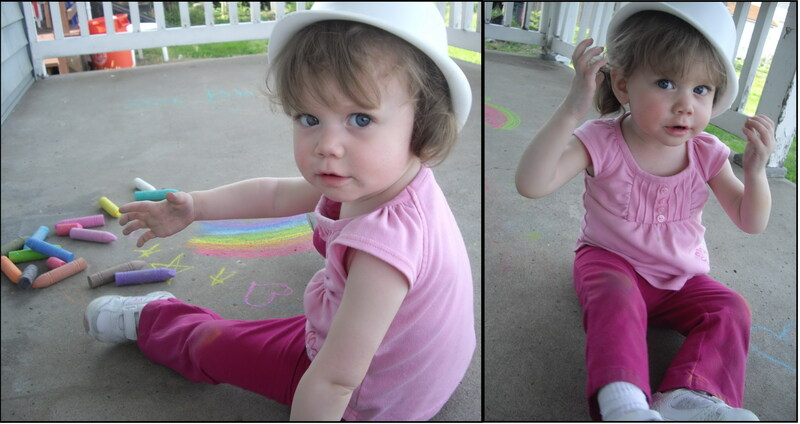 Oh, she is so stinkin’ CUTE!!!!!! You girls are so cute too…we have some cute kids! Thanks for the visiting and I’ll be stopping by your place soon! Hi, saw your blog over at voiceboks.com. I love this story with the pictures. Your daughter is lovely. Thanks for stopping by. I’ll be visiting you soon!